Acceptable scholastic performance, also known as Good Standing, is based upon student progress toward successful course and program completion. The component used to compute Academic Standing is the institution (home college) GPA. The colleges in the Alamo Colleges District honor the academic standing in place at the last institution attended (dismissal, probation, enforced scholastic withdrawal, etc.). 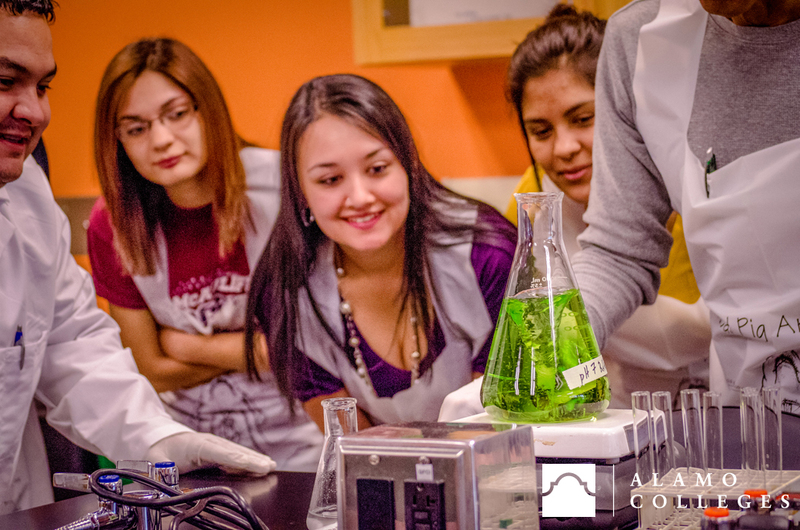 Students who left their previous institution(s) in unsatisfactory Academic Standing and are seeking to transfer to one of the colleges in the Alamo Colleges District must follow the policies outlined below. This would include students transferring from one of the colleges of the Alamo Colleges District to another. Students may re-enroll if minimum academic standards have been met at another accredited college or university during the period of dismissal. Academic standing is determined at the end of the fall, spring, and summer terms. Students are required to meet with their assigned certified advisor prior to registering for subsequent semesters. Students will be limited to an approved course load which may include SDEV 0171, Strategies for Success, designed to teach proven strategies for academic success. Student status is evaluated after each completed semester. If the above requirements are met, any appropriate Academic Hold may be waived on student records to allow for enrollment in subsequent semester(s). Students who fail to earn a minimum term institution GPA of a 2.0 while on Academic Probation (cumulative institution GPA remains below 2.0) will be placed on Academic Dismissal. If enrolled in subsequent semester(s), students will be dropped from all courses and subject to a refund based on drop date. Student will be required to meet with advising services for review of registration status. Students on Academic Probation who are successful during their probationary semester, but have not yet returned to Good Academic Standing may continue enrollment under the status of Continued Academic Probation. Students may continue enrollment on a Continued Academic Probation status after meeting with advising services. Students may be limited to an approved course load which may include SDEV 0171, Strategies for Success, designed to teach proven strategies for academic success. Students must earn a minimum institution GPA of 2.0 during the semester approved to continue enrollment in subsequ­­ent terms while on Continued Academic Probation. Students are required to meet with their assigned certified advisor prior to enrollment in subsequent semesters. Student status is evaluated after each completed semester. Students on Continued Academic Probation that show academic progression and earn a semester institution GPA of 2.0 or higher while their cumulative institution GPA is still below 2.0 will remain in a Continued Probationary status. Students who fail to earn a minimum term institution GPA of a 2.0 while on Continued Academic Probation (cumulative institution GPA remains below 2.0) will be placed on Academic Dismissal. If enrolled in subsequent semester(s), students will be dropped from all courses and subject to a refund based on drop date. The Continued Academic Probation status is cleared when students earn both term and cumulative 2.0 institution GPA. If the student does not meet the minimum academic standards for the semester/term enrolled, the student is placed on Academic Dismissal. After remaining out for one (1) full 16-week fall or spring semester/term, students must petition for enrollment. Upon approval, students will be limited to a maximum course load of six to eight (6-8) semester hours including the required SDEV 0171, Strategies for Success course designed to teach proven strategies for academic success. Students returning from their 1st Academic Dismissal must maintain a minimum semester institution GPA of 2.0 or higher to continue their eligibility for enrollment. If students do not maintain a minimum semester GPA of 2.0 or higher, they may be placed back on Dismissal status and be required to sit out a full 16-week semester. Students will be enrolled under the status of Academic Dismissal and must achieve and maintain a minimum institution GPA of 2.0 during the semester approved for enrollment. The student course load during subsequent semesters will be based on the student’s academic progress. If students do not earn a semester institution GPA of 2.0 and do not earn a cumulative institution GPA of 2.0 in the next semester term following the probation status, they will be placed on 2nd Academic Dismissal and must remain out for one full 16-week fall or spring semester. Students placed on Academic Dismissal will receive notification from the Alamo Colleges District via their ACES email. Academic Dismissal status is cleared when students earn a cumulative 2.0 institution GPA. Any Academic Dismissal holds will be expired. Students on 1st Academic Dismissal who wish to enroll and not remain out a 16-week fall or spring semester may petition for an exception and must complete the academic dismissal petition process. Students granted an exception will be re-enrolled. Submitting an Academic Dismissal petition does not guarantee enrollment. In addition, denial of a petition at one Alamo College applies to all of the colleges of the Alamo Colleges District. After remaining out for one (1) full 16-week fall or spring semester, students must petition for enrollment. Upon approval, students will be limited to a course load of six to eight (6-8) semester hours including the required SDEV 0171, Strategies for Success course designed to teach proven strategies for academic success. Students returning from their 2nd Academic Dismissal must maintain a minimum semester institution GPA of 2.0 or higher to continue their eligibility for enrollment. If students do not maintain a minimum semester GPA of 2.0 or higher, they may be placed back on Dismissal status and be required to sit out a full academic year. Students will be enrolled under the status of 2nd Academic Dismissal and must achieve and maintain a minimum institution GPA of 2.0 during the semester approved for enrollment. The student course load during subsequent semesters will be based on the student’s academic progress. If students on 2nd Academic Dismissal do not earn a semester institution GPA of 2.0 in the next semester following the dismissal status, they will be placed on 3rd Academic Dismissal and must remain out for one full academic year (full fall and full spring semester). Students placed on 3rd Academic Dismissal will receive notification via their ACES email. A student on Academic Dismissal for a third (3) time or more will not be permitted to enroll at any of the colleges in of the Alamo Colleges District for one (1) academic year (full fall and full spring semesters) after which an application through ApplyTexas for admission and a petition for enrollment must be made. After remaining out the required length of time, students must submit their petition and typed reflection statement to their selected college by the set deadlines. They will also be required to meet with an appropriate college representative. After remaining out for one (1) full academic year (full fall and full spring semesters), students must petition for enrollment. Upon approval, students will be limited to a maximum approved course load of six to eight (6-8) semester hours including the required SDEV 0171, Strategies for Success course designed to teach proven strategies for academic success. Students will also be required to meet with an appropriate college representative. Students returning from their 3rd Academic Dismissal will enroll as Continued Academic Dismissal in the next semester term(s) until their cumulative institution GPA is a 2.0 or higher. Students must maintain a minimum semester institution GPA of 2.0 or higher to continue their eligibility for enrollment. If students do not maintain a minimum semester institution GPA of 2.0 or higher, they may be placed back on Dismissal status and be required to sit out up to a full academic year. Students will be enrolled under the status of 3rd Academic Dismissal and must achieve and maintain a minimum institution GPA of 2.0 during the semester approved for enrollment. The maximum student course load during subsequent semesters will be based on the student’s academic progress. If students on a 3rd Academic Dismissal do not earn semester institution GPA of 2.0 in the next semester following the dismissal status, they must remain out for one full academic year (full fall and full spring semesters). Students will be placed on Academic Dismissal and will receive notification via their ACES email. Petitions for Exception will be reviewed on a case by case basis. Eligibility for participation in college-sponsored programs and events is based on the student’s cumulative institution GPA at the college hosting the activity. A student not in Good Standing during any semester may not participate in public activities at the college, in meetings or on competitive teams or hold club or class office. In addition, a student having earned credit must have and maintain a minimum cumulative institution GPA of 2.00 in order to be a member of and participate in any student organization authorized by the college.